It was almost a year ago when Stephanie was looking for a photographer to capture her beautiful blog of fashion! We instantly clicked from the first day (which was really cold) but we made it through and took some beautiful pictures. She is incredibly talented and I have learned so much myself about fashion by journeying with her this past year. Monday was a quiet day and we were fortunate enough to shoot at the beautiful Jockey Hollow National Park. Stephanie wanted a beautiful setting where we could really have some magical backgrounds and we did it!! We usually shoot two different looks and of course, my favorite, the details!! 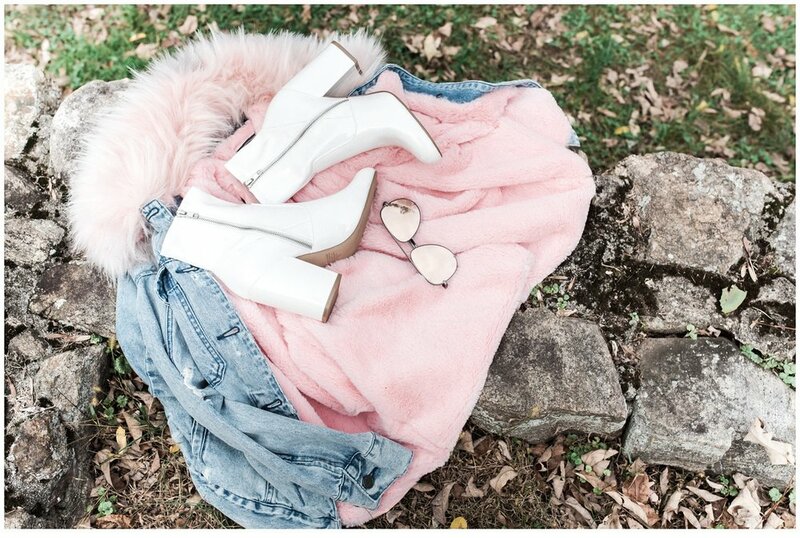 We started with a beautiful denim jacket with the softest pink faux fur collar! I actually tried it on! It is so comfortable and warm! You can find it at Blank NYC I may have to get one!!! She complimented the jacket with a pretty simple black dress found at Nordstrom. The most fun detail of this outfit was her boots! Yes, white patent leather cropped boots! These beauties are made by Steve Madden and are a must have! She accessorized with a beautiful pair of sunnies made by Quay of Australia and her watch is by Burberry. 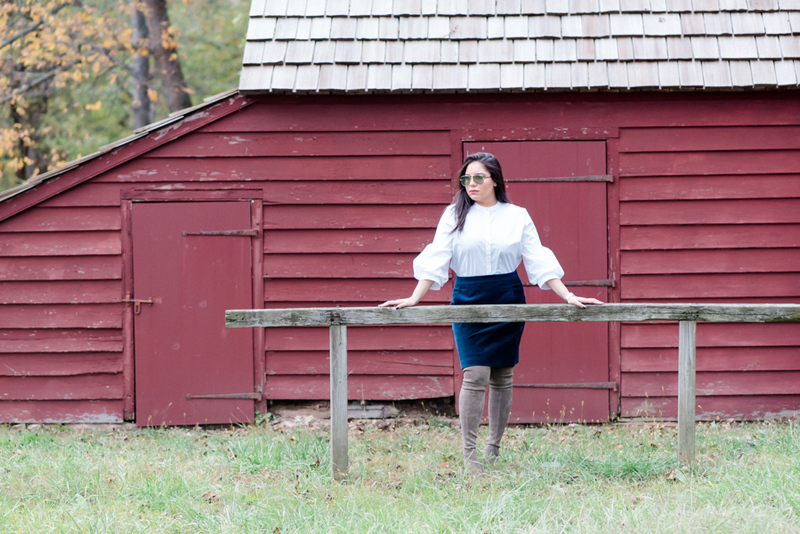 For her second look, she chose an adorable blue velvet skirt with a white simple blouse with the perfect sleeves for a more casual look made by Ann Taylor and her boots were gorgeous made by Stuart Weitzman. For one of her details, she had a small but cute purse by Michael Kors.